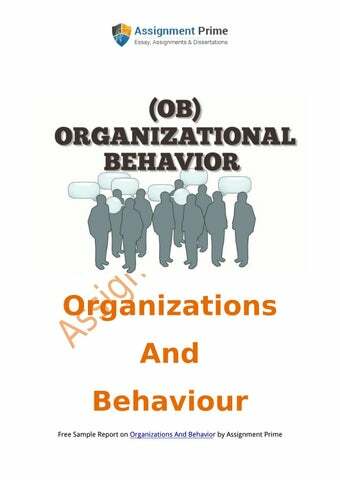 INTRODUCTION Organization behaviour is the study of interface between human behaviour and organization which helps to identify the fields including psychology, communication, sociology and management. In order to manage all the activities, organisational behaviour includes concepts such as leadership, motivation, job satisfaction and team building (Alavosius and et.al., 2016). Present report is based on GlaxoSmithKline which is headquartered in London that is a health care company engaged in the creation and discovery, development, manufacturing and marketing of pharmaceutical products. This report covers, comparison of the structure and culture of GSK with other similar organisation. Further, it covers leadership styles followed by the firm. Moreover, comparison of different motivational theories at the workplace of GSK is studied and at last, the impact of technology on team functioning within organisation is highlighted. Boots hierarchical It follows a tall hierarchical structure. responsibilities in organization (French, advancement and more specialized 2011). It follows task based culture. form a strong bonding at workplace. Disadvantage of task based culture is Disadvantage of power based culture that is it difficult to achieve economies is the potential of misuse which can of scale. views and opinions for different aspects.  Flexibility: It is also an essential factor that affects the behaviour of employees at workplace. It includes working in changed environment where employees of GSK expect to have some flexibility (Bissell and Dolan, 2012).  Motivation: It is another important factor that affects the behaviour of employees for which GSK adopted various models and theories of motivation in order to keep employees highly encouraged. It is necessary to fulfil the needs and demands of employees to keep them motivated so that their efficiency and productivity can be increased.  Environment of work: If the stated organization would have positive working environment, then it will increase the potential of employees and they will be able to progress and grow (French, 2011).  Skills and Abilities: Individual or group behaviour of employees at GSK get influenced by the abilities and skills that they possess. There are different kinds of people working with distinct skills and they share their knowledge and experience with each other which improves their performance (Hashim and Wok, 2014). The sharing of knowledge and skills positively affect the overall growth of organisation.  Leadership Style: In GSK, leaders give equal importance to individual employee or groups that will increases their motivation as well as they feel equally treated and recognized. Adopting suitable leadership style helps in improving employee's behaviour and performance in the organization. Autocratic style effects: Autocratic leadership refers to that style in which there is no involvement in the decision making process and autocratic leaders take their decision on their own. It is effective in GSK because the leaders are taking their decisions individually at senior level management. On the other side, it is also effective in Boots to make quick decisions and to have total control on the overall and streamlined work process. Participative leadership effects: Participative leadership is also known as democratic leadership which means that in this style, everyone has a right to give opinions to their team leaders(Miner, 2015). Here, leaders reserve the right to take final decision but they appreciate ideas, feedback and recommendations from staff members. The impact of democratic leadership in both the organisations because they respect the ideas and focus on the discussion with the employee's. Delegative leadership effects: This leadership style provides guidance to team members and give responsibilities of decision-making to trusted members. line of authority to GSK and Boots. So, loss of motivation and positivity often confuse the team members. Corporate culture style effects: This leadership style has a strong effect on corporate culture of GSK and Boots. This also helps in operations which depends on the strengths and efficiency of leadership(Borkowski, 2015). 2.2 Management takes place within the structure of organizational settings and their roles. Authority- There is right to give an order with respect to responsibility. Initiatives- All level of employees should get promoted within the limits of authority and responsibility(Champoux, 2015). Discipline- Rules and regulations according to the formal or informal agreements between employees and firm. Contingency Approach : contingency approach depend on the the theory that effectiveness of management is contingent or dependent on the application of behaviour and specific situations. GSK and Boots, both the organisations use this approach to manage the situations in a proper manner. The method worked very well as the leader of Boots overcome through economic crisis. Thus, contingency approach is the perfect choice for the management. Human relation approach: Human relation approach used to manage the organisation. As per the GSK, they care for their employees and give passion and convenient facilities to develop them. On the other side, Boots require to care more about their employees otherwise it damages the creativity of their employees(Lindebaum and Geddes, 201). Thus, this approach is all about the thinking of employees and it is the responsibility of leader to make them believe that they are important for the organisation. Socio technical approach: This approach is leads to the development of organisation with the interaction between people and technology at workplace. Both GSK and Boots follow this approach in technical aspect and to enhance the performance of their employees.Thus, these three approaches to management are important to both the organisation in an effective and efficient manner. employees are considered as the important part of organisation which increase their motivation level. On the other side, autocratic leadership style create dissatisfaction in the mind of employees because they will not consider the ideas of their respective staff members and so that they not behave in a proper manner(Fisher and To, 2012). Further, the use of autocratic leadership style in long run can results in lowering down the productivity and effectiveness of all staff members in the cited organisation. It helps to make quick decision which will be effective in organisation and that increases the level of motivation in employees. In addition to this, corporate culture leadership helps to increase the motivation level at period of change in the organisation. It creates a good environment at workplace and employees are intend to do more work in that changes(Lai, Lam and Lam, 2013). 3.2 There are various motivational theories which are used by organisation with an aim of enhancing morale and motivation level of their employees. In the current scenario, GSK adopted Herzberg two factor theory of motivation which includes two elements motivators and hygiene. Here, the organisation need to give better pay, working conditions, sense of achievements, responsibilities and proper recognition to their respective employees in order to motivate them. On the other side, if GSK adopted Maslow theory of motivation then companies should focus on the satisfaction of their employees in order to motivate them(Lind and van den Bos, 2013). Cited organisation should require to satisfy the needs of lower level management like security, shelter and food. Further, recognition, appreciation along with the monetary incentives will be used in order to motivate the employee's at middle and higher level management. Maslow theory emphasizes fact upon that every employee has a various sets of needs and companies are required to fulfil those needs to encourage them to give best performance. This theory also satisfy the needs of safety and give respect to the members of cited organisation .The level of self actualization in the Maslow theory describes that each desire of employees must be fulfil. which determine the motivation level of employees. These theories improves the level of efficiency of employees which leads to increase in productivity, reducing the cost of operations. Further, motivational theories helps to achieve the goals of organisation by optimum utilisation of resources with cooperative work environment. Managers provide maximum facilities to their employees and consider them as a important part of organisation(Leana, Mittal and Stiehl, 2012). and responsibilities given to them. To maintain the effective teamwork there should be a proper conversation between all the members of the organisation is must(Kilburg and Donohue, 2014). So that all the employees can freely ask queries to anyone and it helps in development of effective teamwork in an organisation. Leadership: Leadership plays an essential role in teamwork. All teams in an organisation are benefited by the leader who inspire and encourage them by coordinating the efforts of team members to give their opinion at the time of meetings. Thus, teamwork is supported by the effective leadership in the stated organisation. support effective teamwork with the organisation(HĂ¤rtel and Oâ&#x20AC;&#x2122;Connor, 2014). Thus, in GSK diversity plays an important role to promote the development of effective teamwork. to GSK, they see the new technology as a means of profit and stay competitive in the market(Pirraglia, 2016). There are different impacts of technology on team functioning which includes e-mail, mobile phones, groupware and computers which improved the functions of team within an organization. GSK use these technologies to improve functions of team. E-mail allows the employees to communicate with each other from different places and they don't need to at the same places in order to communicate effectively(Hammer, 2016). They use mobile phones which allows to communicate when team members are unavailable or out of office. Further, GSK use personal computers for communication regarding different tasks and objectives. So it improves the performance of member of organisation in order to the usage of various technology and so that it creates a good functioning at workplace. 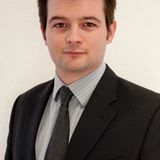 It also helps to create a good working environment for the different people in the organisation. Thus, information technology plays an important role in GSK to deliver strong profits and they improved scanners for better services. of Maslow's need and Herzberg theories and it also includes the usefulness of motivation theory for managers and limitations of it . At last, it covers the nature of groups and group behaviour within the cited organisation and the factors which promote the development of effective teamwork and impact of technology in team functioning. Thus, technology has a great impact on the functioning of organisation. REFERENCES Books and Journals ● Alavosius, M. and et.al., 2016. A functional contextualist analysis of the behavior and organizational practices relevant to climate change. The Wiley Handbook of Contextual Behavioral Science. pp.513-530. ● Allen, D.G. and Shanock, L.R., 2013. Perceived organizational support and embeddedness as key mechanisms connecting socialization tactics to commitment and turnover among new employees. Journal of Organizational Behavior. 34(3). pp.350-369. ● Anderson, N., Potočnik, K. and Zhou, J., 2014. Innovation and creativity in organizations a state-of-the-science review, prospective commentary, and guiding framework. Journal of Management. 40(5). pp.1297-1333. ● Ankli. E. R. and Palliam. R., 2012. "Enabling a motivated workforce: exploring the sources of motivation". Development and Learning in Organizations: An International Journal. 26(2). pp. 7 – 10. ● Arvey, R.D. and Zhang, Z., 2015. Biological Factors in Organizational Behavior and I/O Psychology: An Introduction to the Special Section. Applied Psychology. 64(2). pp.281-285. ● Ashkanasy, N.M., 2015. Emotions in organizational behavior (pp. x-x). Oxford University Press. ● Bissell, G. and Dolan, P., 2012. Organisational Behaviour for Social Work. Policy Press. ● Borkowski, N., 2015. Organizational behavior, theory, and design in health care. Jones & Bartlett Publishers.